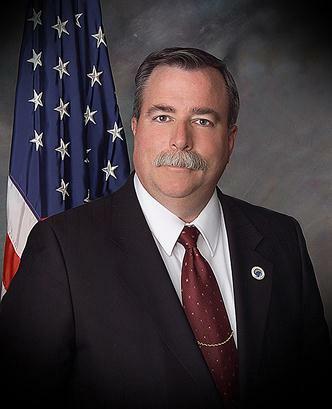 PALMDALE – Palmdale Mayor Pro Tem Steven D. Hofbauer was elected to serve as Vice President of the League of California Cities Desert Mountain Division for the year 2012-13 at the Division meeting held recently at Big Bear Lake. Thurston “Smitty” Smith, Mayor of Hesperia was also chosen to serve as the Division President. The League of California Cities is an association of California city officials that combine resources so that they may influence policy decisions that affect cities, work together to address issues of mutual concern, and enhance their knowledge and leadership skills. The Desert Mountain Division includes cities in Inyo, Kern, Los Angeles, Mono and San Bernardino counties, and provides members with the opportunity to exchange ideas and information and share the advantages of cooperative advocacy. Member cities include: Adelanto, Apple Valley, Barstow, Big Bear Lake, Bishop, California City, Lancaster, Mammoth Lakes, Needles, Palmdale, Ridgecrest, Twentynine Palms, Victorville and Yucca Valley. The division is guided by an executive committee under the leadership of a division president. Elected city officials and professional city staff attend division meetings throughout the year to share what they are doing and advocate for their interests in Sacramento. Division members also participate in the development of League policy through representation on the League board of directors, policy committees, annual conference resolution committee, and the annual conference program committee. In 2010, Hofbauer was honored by the League of California Cities with the Larry Chimbole Lifetime Public Service Award. This recognition by his elected peers throughout the desert – mountain division acknowledged his dedication to public service through outstanding service to municipal government, leadership and participation within the League, and high standards of personal character. After 32 years of service, Hofbauer retired this year from the Los Angeles Fire Department. He served most recently as a Certified Fire Inspector II in the Technical Section, Construction Services Unit, of the Fire Prevention Bureau. Hofbauer has been a state licensed EMT and Paramedic since 1973. Over the years, Hofbauer has earned numerous fire service career commendations, including Paramedic of the Year twice, and the highly prestigious Los Angeles County Community Protector of the Year. Most recently, he was recognized by the Los Angeles Fire Department with the Fire Marshal’s Commendation for Career Excellence. As the Skipper of Sea Scout Ship 11, the High Desert Youth Maritime Association, the Boy Scouts of America has recognized Hofbauer with the District Award of Merit, and the Council’s Award for Outstanding Service to Youth. Hofbauer represents the City of Palmdale as delegate to the National and State League of Cities and Public Safety Policy Committee, as well as having served as a member of the Regional Trauma Center Committee, and chair of the Gang and Graffiti Sub-committee. In addition, Hofbauer is currently the Palmdale-Lancaster district representative to the Southern California Association of Governments (SCAG), the largest regional planning agency in the nation, where he serves on the Community, Economic and Human Development Committee, and is a Regional Housing board representative for Los Angeles County. Hofbauer also serves as Palmdale’s delegate to the United States/Mexico Sister Cities Association, and to California Contract Cities Association, where he serves on the Legislative Committee. He is the alternate delegate on the High Desert Corridor Joint Powers Authority, Los Angeles County Sanitation District, and North County Transportation Coalition. Hofbauer, his wife of 34 years, Barbara, and their two grown children, Kimberly and Eagle Scout Christopher have lived in Palmdale since 1981. For more information about the League of California Cities, visit www.cacities.org. 4 comments for "Hofbauer elected VP of League of CA Cities Desert Mountain Division"
does anyone know what the leauge of cities really is robably not and elected by whom not the citizens. Steve did an amazing job and did it with compassion for the speakers who wanted to address the 14th Sanitation Board about the increase in fees. He chaired the meeting two times in the absence of Jim Ledford. Palmdale is fortunate to have such a leader. I am sure that he will do an excellent job in this position.